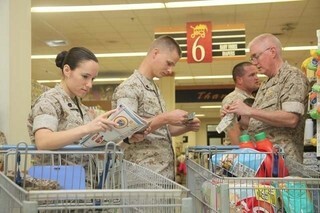 Finding coupons for the exchange on McChord Air Force Base just outside Lakewood, Washington, is a breeze when you visit MyMilitarySavings.com. We are familiar with how difficult it can be to take time out of your busy life on base just to find ways to save money, which is why we’ve made it our mission to be the premier one-stop shop for military discounts of all kinds. We’ve brought together savings information from all kinds of trusted sources, and we even provide helpful links to the Army and Air Force Exchange Service (AAFES) website so that you can read more about the latest sales. Signing up for an account at MyMilitarySavings.com is free and easy, and will provide you with access to all kinds of helpful savings tools, including the My Home Base page. My Home Base is your customizable homepage on our site, which you can set to McChord AFB in order to see details about your local exchange store, upcoming events in your area, and even exclusive sweepstakes. Plus, you can use the My Shopping List tool to build a digital shopping list by just clicking any of the products you see on our site. Then, you’ll be able to print it out or take it with you to the exchange on your smartphone. For more information and to start finding savings galore for the McChord AFB exchange, enroll for your free membership today at MyMilitarySavings.com.